Kamaboko is Japanese fish cake, which is an essential ingredient and food in Japanese cuisine. It may be enjoyed sliced on its own, or it is added to various foods as an ingredient or topping for soup, ramen, or udon and soba dishes. Kamaboko is a steamed cake of cooked fish. It is typically made using white fish, or other fish, with the bones and skin, removed. The fish is mashed and formed into a paste known as "surimi" in Japanese. This paste is mixed with seasonings such as salt and sugar. Egg whites may be added for binding and texture. Depending on the food manufacturer, other flavor additives may be incorporated, including monosodium glutamate (MSG) and food color. The paste is then shaped into a traditional semi-cylinder and placed on a small wooden board and steamed. Other ways to cook the paste is by grilling, poaching, or frying. Each cooking method yields a slightly different type of kamaboko. Kamaboko is believed to have originated in Japan back in the 8th century of the Heian Period. As an island nation, Japan is surrounded by oceans and seafood has always been a staple in Japanese cuisine. Back then, kamaboko was prepared using groundfish which was skewered onto thick bamboo sticks and then grilled over an open flame. Today, kamaboko is relegated as a national treasure and is celebrated on November 15th which is deemed national Kamaboko Day. Why Isn't Kamaboko Made at Home More Often? The market for ready-made kamaboko is vast and wide, especially in Japan. In Japanese grocery stores across North America, Asia, and even Europe, kamaboko is also found pre-made in the refrigerated or frozen section and readily available for consumption. Because kamaboko is as readily available as breakfast cereal is to the United States, most Japanese home cooks do not often think of making homemade kamaboko, just as Americans often do not think of making homemade cereal. Fresh and delicious brands of kamaboko in many varieties is often available at our fingertips. With this in mind, a quick trip to the grocery store saves time and yields delicious results. Most common is the red kamaboko (which is pink in color) and is often sliced and served as a topping on top of popular Japanese dishes such as ramen, or udon and soba noodles. Another way that kamaboko is enjoyed is sliced and eaten with a side of wasabi (spicy horseradish) and dipped in soy sauce. Kamaboko may also be dipped in other sauces as well. 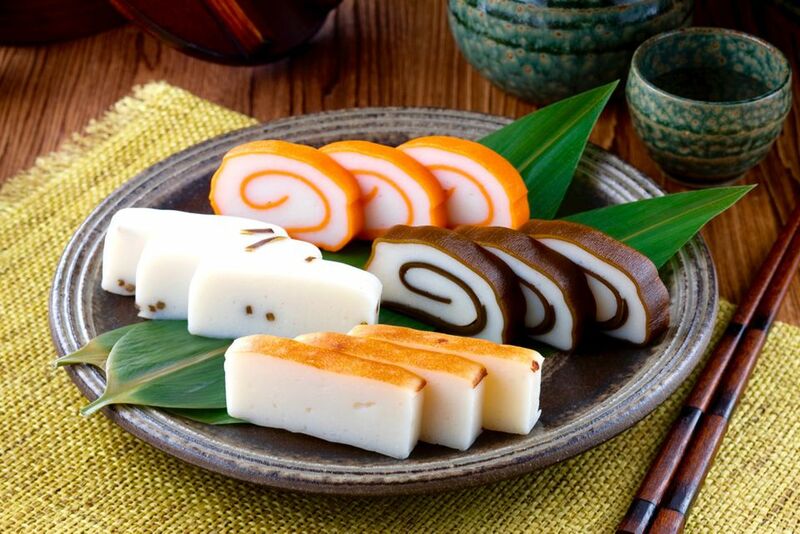 Kamaboko slices are also enjoyed as is, in traditional New Year's dishes such as osechi ryori. What Are Anchovies and How Do You Use Them?